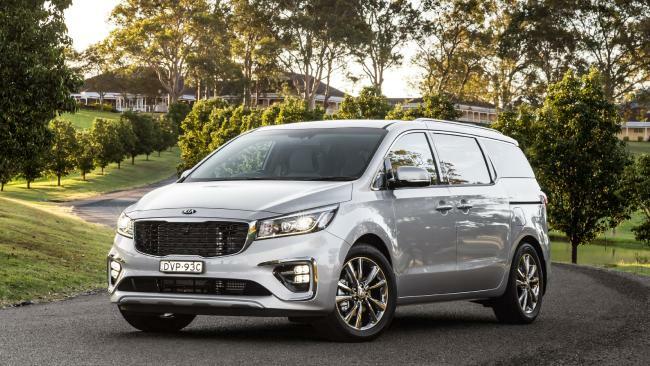 The Kia Carnival range starts from $46,800 drive-away for the base model V6 petrol and stretches to $68,000 drive-away for a top-of-the-line diesel. 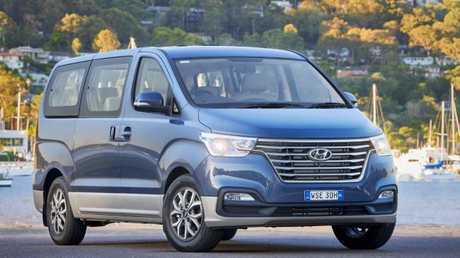 All four model grades are available with either a 3.3-litre V6 petrol or 2.2-litre turbo diesel four-cylinder, both now with eight-speed autos and driving the front wheels. We sampled a mix of both, but didn't get through every variant in the range. All come with Apple Car Play and Android Auto, a digital speed display and air-conditioning vents for all three rows. The upholstery changes from cloth to leather the more money you spend, with other bells and whistles. 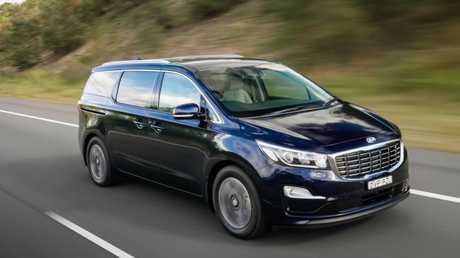 Growing pains: The Kia Carnival seats up to eight. 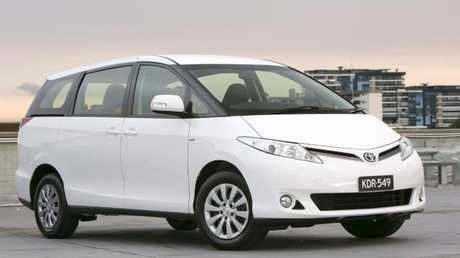 Warranty is industry-leading at seven years/unlimited kilometres. If you need to move a big family this is one of the best options around. It's able to seat eight in comfort, with room for luggage. That's because the space-saver spare tyre is hidden under the right rear passenger door, rather than occupying valuable space under the boot. This gives the Carnival a massively deep cargo hold. Access to the third row is made easy via both sliding side doors thanks to a second row that flips and slides forward with one lever. The Carnival’s cabin is well presented. You don't realise just how handy sliding doors are until you've lived with them for a while. No need to stress about the kids denting doors on adjacent cars. Also easier to load shopping into the back seat. There's pretty good vision all around when empty, although with a full load on board you'll be relying heavily on the wide-view side mirrors. All models get a rear camera and rear sensors; only the top two models get front sensors as well - and only the flagship Platinum edition comes with a 360-degree camera. The curtain airbags go all the way to the third row. 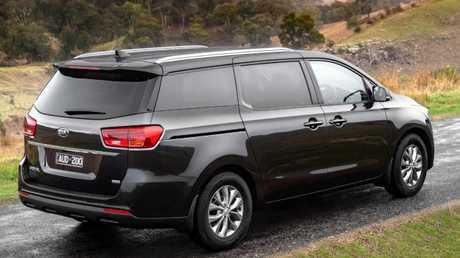 Auto emergency braking contributes to a five-star safety rating. 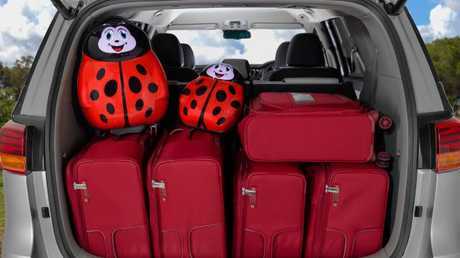 Room to spare: The Carnival can fit a large amount of cargo even with all the seats deployed. Dearer models also gain lane departure warning (although not lane-keeping assistance), rear cross-traffic alert and blind spot warning. The V6 petrol is likely the better choice, even though the diesel might be slightly more efficient. The V6 does a better job of shifting this big people mover, it's smoother and not as jerky to drive. The power delivery of the diesel is an all-or-nothing affair, and the diesel's economy isn't substantially better around town. 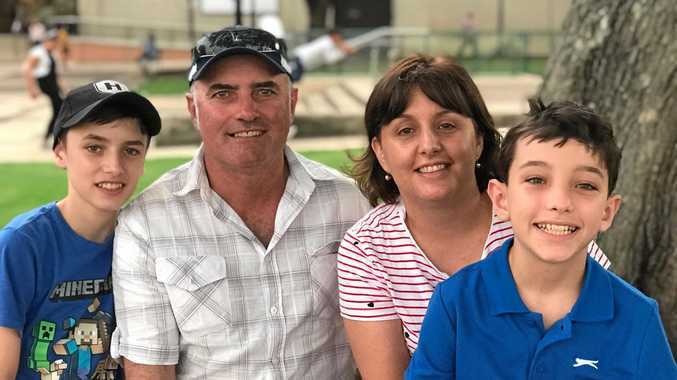 A diesel only really makes sense for families doing a lot of open road driving, rather than running around at suburban speeds. The diesel is noisy by industry standards, too. 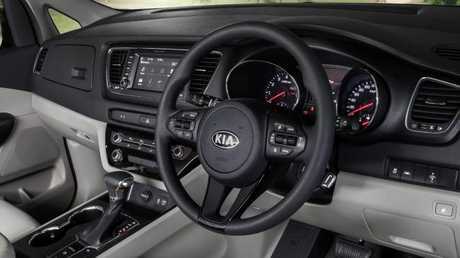 The auto transmission shifts smoothly in both engines. Easy access: The sliding doors take the stress our of loading kids and shopping. The front driving wheels can slip in the wet if you floor the accelerator too abruptly on take-off and you need to take it easy through roundabouts. This is a big, heavy and tall vehicle. Yes, they still make these but they come with a hefty price tag. Worth a look if you're in the pricey end of the market. Downsides: three-year warranty and short, 10,000km/6 month service intervals. The Honda isn't as big as the Carnival or the Tarago but it's nicer to drive and priced more sharply. Has added appeal now that a five-year warranty is standard. This is really a van with seats and windows, rather than a purpose-built people mover. And it lacks curtain airbag coverage for the back two rows. But it's the biggest among those listed here and has a five-year warranty. 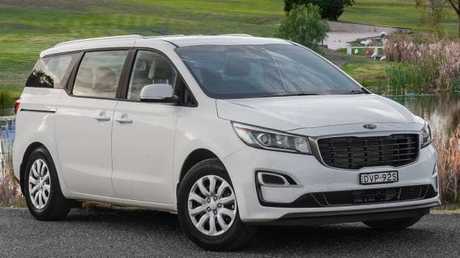 If you really need the space it's hard to go past the Kia Carnival. 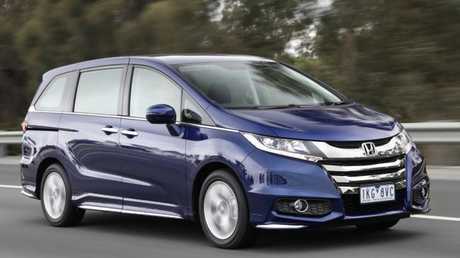 If you don't need something quite as big, the Honda Odyssey is also a great choice.